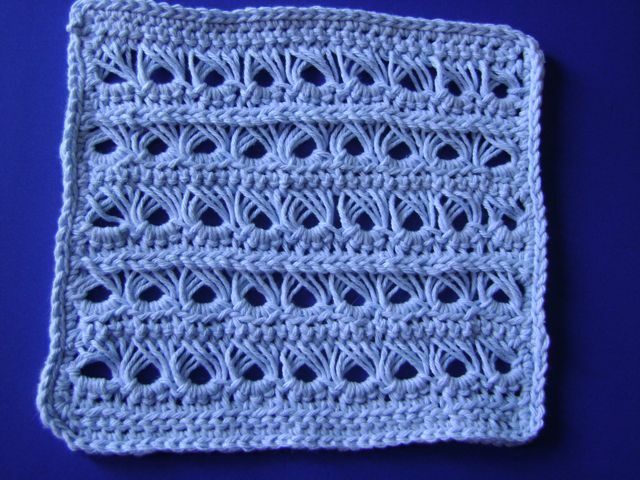 My mom sent me this picture of a very cute dishcloth she had crocheted. 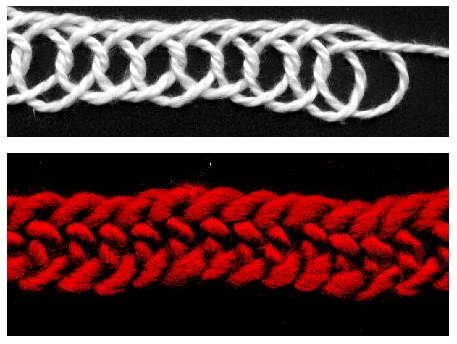 The pattern looks remarkably like ancient naalbinding, don’t you think? It makes sense, really. Naalbinding is perhaps the most ancient form of creating garments from yarn. 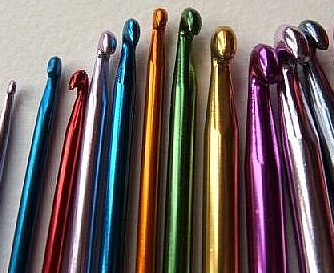 The craft utilizes a large-eyed needle, which could easily have “morphed” into a crochet hook; both arts pull yarn through loops to create intricate and beautiful patterns. We are definitely making progress, backward though it is, to find out more about the first fabric techniques. We’ve already found woven flax to be exceedingly ancient, and new finds keep pushing the date back (I’ve seen the date now at 6500 BC, and 32,000 BC!). 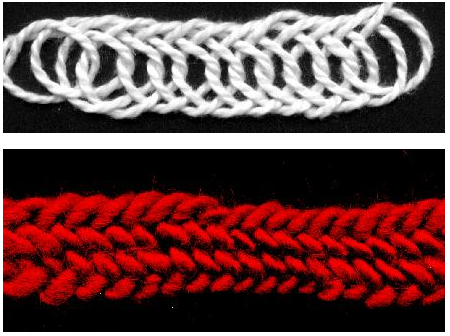 The Naalebinding stitches are quite simple, as the knit and purl stitch are in the knitting you might have just put down. And with the same astounding flexibility, the Naalebinding stitches can be endlessly turned into hundreds and hundreds of different patterns, edgings, and embellishments, due to our bottomless capacity for creative expression. 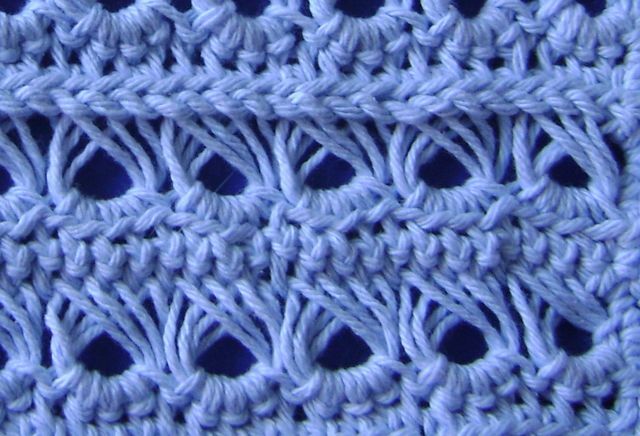 Also, there is a naalebinder group on Ravelry.